From customer reviews to email automation, we've outlined a list of our favorite BigCommerce apps to help you supercharge your site and help you drive more sales. BigCommerce's robust functionality helps eCommerce brands sell and market themselves online. 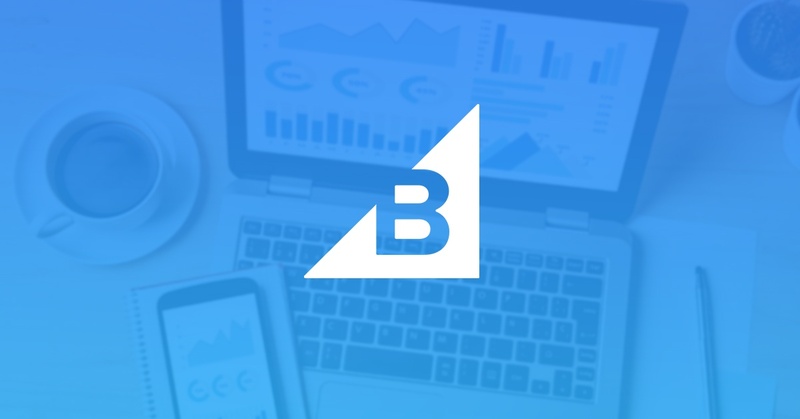 However as an Elite BigCommerce Partner Agency, we're constantly evaluating marketing technologies to help our clients push beyond baseline functionality to drive more sales. From customer reviews to email automation, we've outlined a list of our favorite BigCommerce marketing apps to help you supercharge your site. From ratings and reviews to customer product images, user-generated data is an essential part of the modern eCommerce strategy. These assets can build credibility, improve customer trust and ultimately help increase revenue. That's why many brands are investing in tools like Yotpo to manage their customer-generated reviews and content. Yotpo is a user-generated content platform that helps brands collect, distribute and use content to improve their customer experiences. 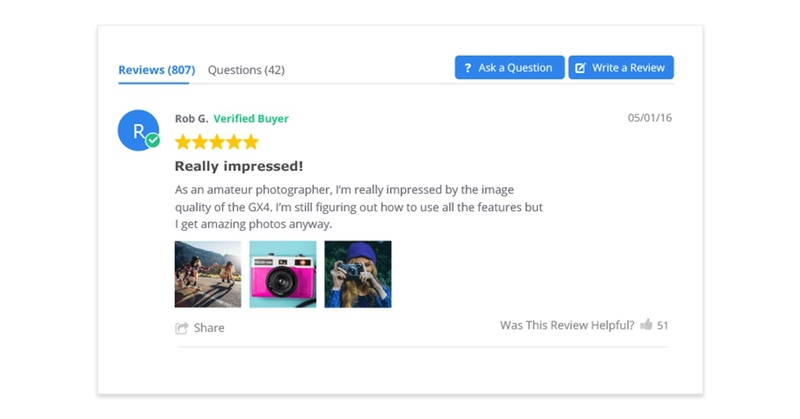 Yotpo sources customer reviews, ratings and photos in one place to help brands curate on-site social proof for their products. With social shopping capabilities, a partnership with Google search, native analytics tracking and more, brands can dominate multiple platforms with ease. We especially appreciate Yotpo's automatic Schema.org structured data insertion into your product pages. The plugin pulls the product price, number of reviews and the star ratings into a structured data format. Search engines crawl this structured data and display on the search results page, resulting in higher click-through rates. Yotpo offers a basic free version with premium features available for an additional cost. To setup the integration, visit the BigCommerce App store. Customer loyalty programs help establish repeat purchasers and turn them into evangelists. Whether you offer exclusive discounts or free items, reward tools like Smile.io have become have become a core marketing tool in the modern eCommerce toolbox. 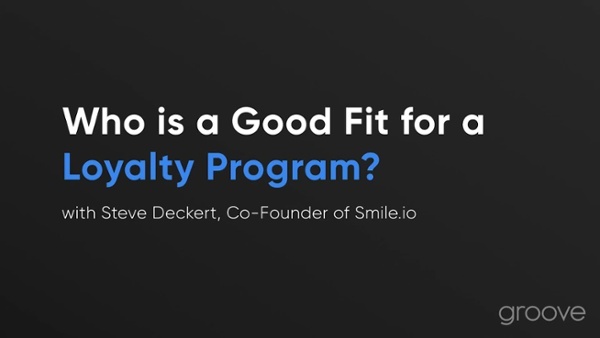 Smile.io helps brands create programs that reward customers for leaving a review, placing an order, sharing on social and more. With a mobile-first UI, custom tier names and VIP program capabilities, Smile.io can help eCommerce companies looking to extend their brand reach and increase website engagement. Smile.io's BigCommerce integration is available for free through the BigCommerce App Store, and pricing varies based on members enrolled in your loyalty program. Pop ups have come a long ways since their 90s-era conception. Instead of intruding, modern pop-ups focus and retain customer interest at key moments in their browsing journeys. Here at Groove, we've been exploring this functionality with a tool called JustUno. JustUno helps brands build high-converting website pop ups in minutes with a drag-and-drop design canvas. The tool allows you to A/B test, run separate mobile promotions and incorporate video and custom-designed graphics with ease. It also integrates with HubSpot and MailChimp to make email database management a breeze. 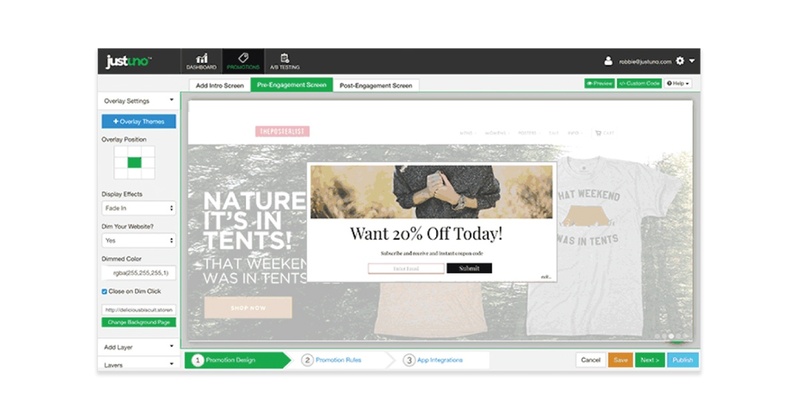 Overall, brands can use these pop-ups to grow their email subscribers, reduce cart abandonment and increase sales conversions through targeted promotions. JustUno is a free integration through the BigCommerce App Store and product pricing varies based on monthly visitors to your website. 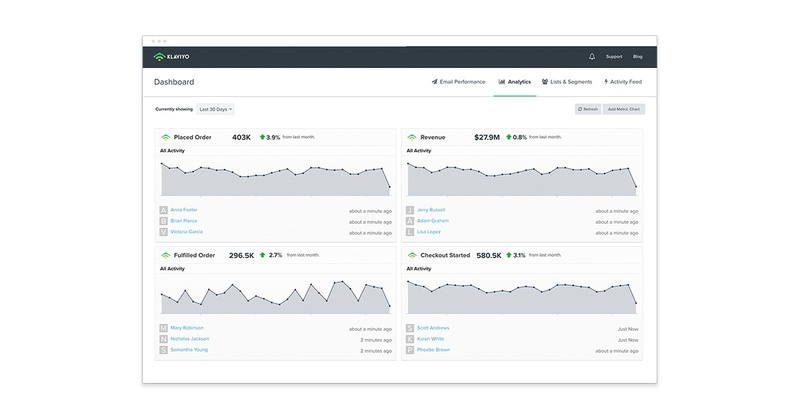 HubSpot's contained ecosystem helps companies consolidate marketing and sales activities into a centralized platform. However, many eCommerce brands using HubSpot historically experienced a lack of connectivity with their stores. Specifically, HubSpot didn't integrate with platforms like BigCommerce to create email and workflow automation. That's why we created HubShop.ly. HubShop.ly integrates your BigCommerce store with HubSpot by syncing HubSpot cookie data with customer eCommerce order data. 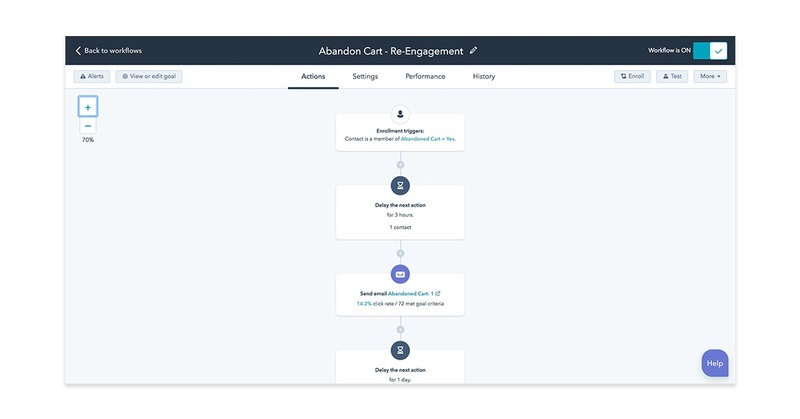 Brands can use this information to setup abandoned cart recovery solutions, automated email workflows and advanced reporting and segmentation. HubShop.ly is available for purchase and setup through the BigCommerce App Store. Research shows that users who search on eCommerce sites are 350% more likely to purchase compared to users who do not search. As a result, brands should constantly be testing and evaluating ways to optimize site search functionality and design. 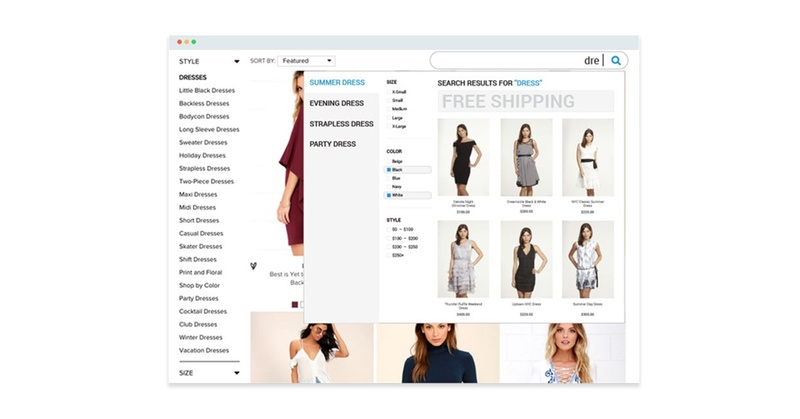 SearchSpring is an intuitive eCommerce search tool that helps brands create a compelling and curated search experiences. With intelligent site search, visual merchandising, product recommendations and product finders, eCommerce companies can drive revenue through helpful shopping experiences. The SearchSpring app is available through the BigCommerce App Store and pricing is customized based on your store's individual needs. Monetizing content on WordPress is often an inexact science. Sure, you can create a hyperlink from your blog to your eCommerce store. However, the process is often clunky, difficult to track and rarely ends up looking like what you're hoping for. As an Elite BigCommerce Partner Agency, we decided to address the problem and build a solution to help BigCommerce and WordPress communicate. Enter BigPr.es. BigPr.es is a Premium WordPress plug-in that lets you easily showcase merchandise from your BigCommerce store directly in your blog. BigPr.es helps you monetize your blog by removing the burden of uploading and hyperlinking images. This ensures a consistent content-to-cart experience. Overall, the process makes it significantly easier for brands to integrate content marketing with their eCommerce promotions. BigPr.es is available for a fixed price of $89 per year through the BigCommerce App Store. If you're an eCommerce store looking to use customer data to tailor email and social media marketing, Klaviyo can help. This tool delivers highly targeted email, Facebook and Instagram marketings solutions for eCommerce companies looking grow. Klaviyo makes it easy to import customer data from your eCommerce platform and use it to personalize your content and campaigns. Brands can segment and automate campaigns based on user behavior and create personalized blocks to meet customer needs. Additionally, you can review results and optimize for future success directly in the Klaviyo interface. Klaviyo's integration is available for free through the BigCommerce App Store and and remains free for your first 250 contacts. However, plans increase based on contacts in your database once you exceed this amount. 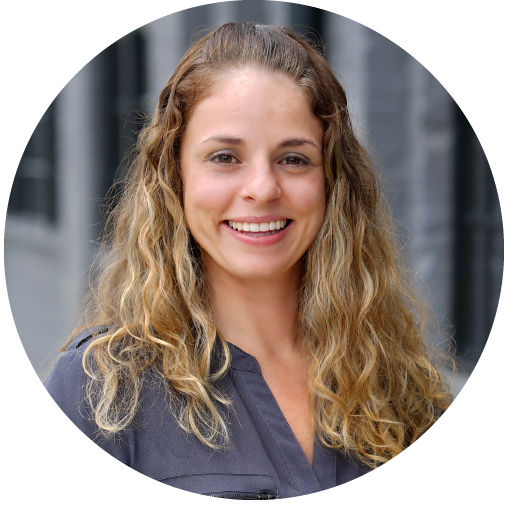 Overall, the apps above help to expand the existing features and functionality BigCommerce has to offer. We're proud to support these technologies are always exploring new ones to help our clients achieve their goals. Have any questions about the tools mentioned above or just want to chat? Fill out the form below and we'll be in touch!